An Oakland-based national nonprofit health watchdog on Thursday announced it was suing 14 tobacco and e-cigarette companies, claiming their products contain too-high levels of cancer-causing chemicals. A representative for the tobacco industry called the allegations false, and accused the group of suing Big Tobacco to settle hefty claims. But the Center for Environmental Health said its goal is reduce the number of young people who smoke and vape. Teen use of e-cigarettes is skyrocketing, the organization said: among 8th and 10th graders, twice as many say they use e-cigarettes as compared to those who smoke traditional cigarettes. The organization filed lawsuits in Alameda County against RJ Reynolds, Fontem/Imperial Tobacco, NJOY and 11 others after the nonprofit bought e-cigarettes, e-liquids, and other vaping products from major retailers in the Bay Area between February and October, according to CEH spokesman Charles Margulis. The suits are seeking injunctive relief and civil penalties. With the help of an independent testing agency, Margulis said scientists found that formaldehyde and acetaldehyde on 97 e-cigarettes found that 90 percent of the companies had at least one product that produced high levels of one or both chemicals, above the state safety limit. A test on one e-cigarette found the level of formaldehyde was more than 470 times higher than the California safety standard, the organization alleged. 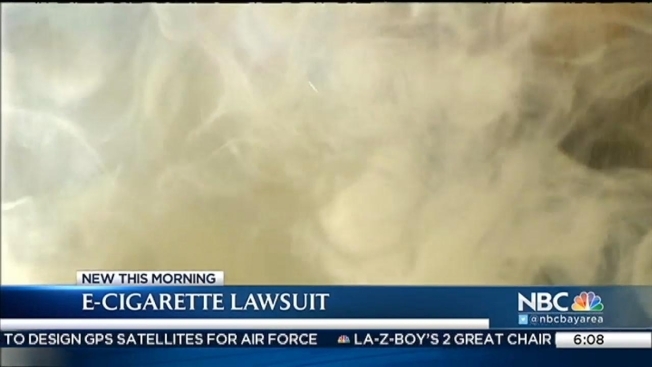 In all, Margulis said the nonprofit has launched legal actions against more than 60 companies for failing to warn consumers about exposure from e-cigarettes to nicotine and one or both of the two cancer-causing chemicals, formaldehyde and acetaldehyde, as required by California law. But Story said these attacks on e-cigarettes are unfair.